Featured on Token Economy - deep dive (with hand-drawn visuals!) 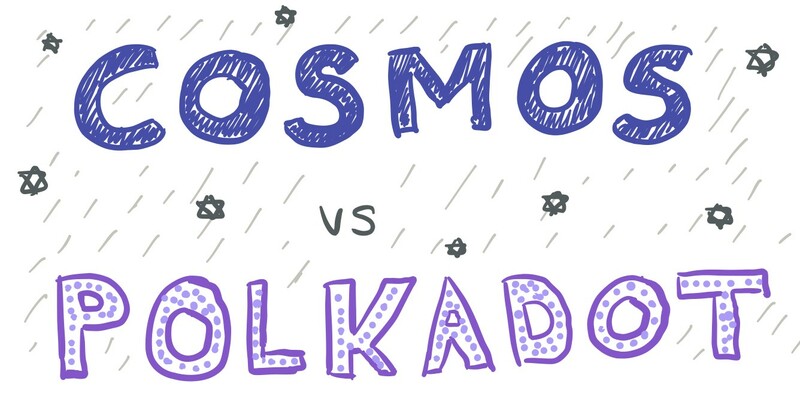 on Polkadot and Cosmos by Kerman of 8x Protocol. Ethereum will soon transition from PoW to PoS. Here is how the base protocol’s economic incentive structure will be impacted. If you've been scratching your heads since SEC latest framework for digital assets was published, Katherine's got you covered. + Peter from Coincenter also published a great analysis. Good read from Regan at Coinlist on the various avenues available for engaging developers to build applications on a specific platform (hackathons, grants and ecosystem funds) and their effectiveness (or lack thereof). Rocco adds a further dimension to NuCypher's 'worklock' proposal whereby a portion of the locked ETH is used to fund an exogenous block reward for early network participants. Clever. Nothing particularly new under the sun, but a good recap from Coinfund on why and how the lines between the role of the investor and the network participant in decentralized networks are blurring. We always like real-world crypto applications that can enable new business models and/or serve new demographics. The work that Althea is doing is a good example - and good to see the press picking it up. Awesome crypto contracts design pattern to have contracts that can safely be upgraded. I remember speaking with the Ramp team a long while ago, when they were still thinking it through. The initial idea was to provide a fiat on-ramp to dapps that would use open-banking and PSD2. My feedback was that it wasn't that ideal compared to say a credit card. But what I failed to see was what it could be: a fully decentralized fiat-to-crypto decentralized exchange. I regret that. Ramp has now launched its swaps product: a way for trust-minimized p2p fiat to crypto transactions. It's still a bit centralized, only handles pre-determined transactions and is limited to the UK. But now you can clearly see where this is going. The concept is simple: the crypto user sends crypto to an escrow contract. The fiat user sends fiat to the crypto user bank account. Once the transaction arrives and it can be read via open banking api, the escrow contract automatically sends the crypto to the fiat user. This is the future of crypto to fiat interactions people. 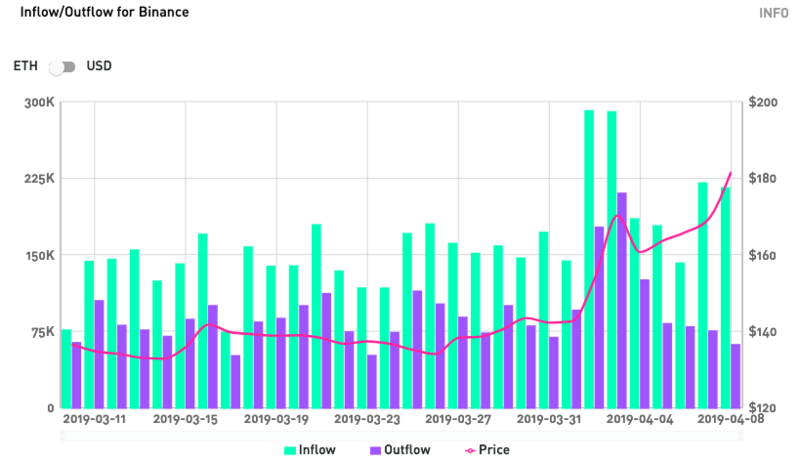 Very cool exchange data pages from TokenAnalyst with info about inflows and outflows, historical metrics, top transactions and more. A new algorithmic trading bot platform specifically designed for market making on both decentralized and legacy exchanges. The pace in decentralized finance is ridiculous. Sila, a startup launched by former Simple Bank co-founder Shamir Karkal, wants to build the AWS of Finance. Its product will probably be an API interface between ACH and Ethereum smart contracts. We're curious to see what it ends up like. Dharma is finally live! There's now one more place to hedge / leverage your crypto. Nasdaq listed cloud identity company Okta announced a $50M corporate venture fund to invest in the next generation of identity startups using AI, machine learning and blockchain. The fund's first investment is in Trusted Key, a blockchain-based digital identity platform. Coda raised a fresh new $15M from Accomplice, Coinbase Ventures, Paradigm, and General Catalyst who join MetaStable, PolyChain, Electric Capital from previous rounds. Coda is pretty cool - it uses zkSNARKs to make it possible to only store the last block in the blockchain, and be sure that it is correct. This opens up a host of possibilities. Excited to see where this one goes. A16Z sure likes hard bets (and LONG legal disclaimers). Their latest investment is on celo - an app and smart contract infrastructure play that wants to enable consumers to transact with their phones. Other investors include Polychain, General Catalyst, Coinbase, Lakestar, VersionOne and SV Angel. + WSJ paywalled article about it. Offchain Labs announced it has raised a $3.7 million USD Seed Round led by Pantera Capital. The funding will be used to grow the team of developers to build Arbitrum, which will enable enterprise blockchain adoption through scalable smart contracts. Nice to feature Sparkswap again after we first mentioned them in issue #60. This time is about their latest funding round participated by Initialized Capital, Pantera Capital, and Foundation Capital. The focus is building a non-custodial exchange on top of lightning network atomic swaps. Harmony has raised $18M in a token pre-sale from Lemniscap, BCA Fund, UniValues Associates and Consensus Capital. They are building a new "high-throughput, low-latency, and low-fee" blockchain that employs 'deep sharding' to make it supposedly easy to port dapps over from the Ethereum blockchain. More technical details here if you want to dig deeper. PayPal first foray in blockchain investing is Cambridge Blockchain, a blockchain-based identity company that just closed an extension to a Series A round. Other investors in the company include HCM Capital/Foxconn, Digital Currency Group, Omidyar Network and Future/Perfect. Crypto eats the real world? Interesting example of a crypto project buying its way into real-world infrastructure adoption by buying a piece of a bank and strengthening collaboration in that way.